Don’t click on pop-up ads or questionable email links — even if they’re offering a great sounding deal. Phishing emails and ads can look like legitimate emails sent by retailers or banks, but they contain links that may lead you to a malicious website that aims to steal your information. Never click on the link in an email or ad. Instead, go to the website to verify the offer or coupon. If shopping on your mobile device, make sure to proceed with extra caution. Scammers often trick users by creating fake websites with URLs that look similar to those of popular retailers. Since mobile devices have a shorter address field, you may not see the full URL, so it may be more difficult to spot a scam. Rather than using a website, you should use the retailer’s app (which should be downloaded from the official app store). Always use secure network connections, marked by a valid “HTTPS” connection with a lock symbol. 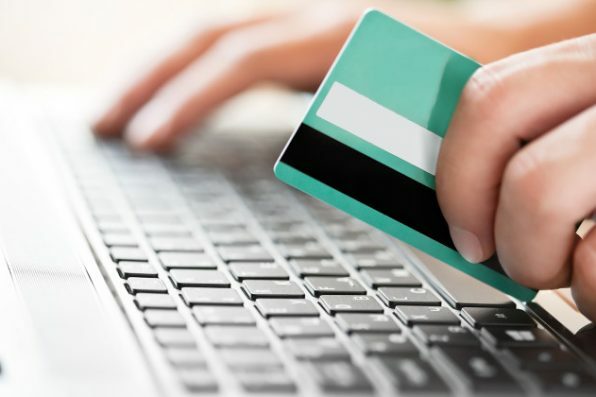 HTTP connections are not secure and are vulnerable to attacks, so you should never give your credit card information unless you are in a secure online shopping portal. Additionally, sites that ask for your credit card information in return for something (e.g. coupons or “free merchandise”) are almost always scams. If shopping from an online store that you have never heard of, confirm that it has a physical address and phone number before placing an order. Also, check out customer reviews of the site to make sure it is legitimate. When in doubt, always order from a reputable company with a good history of online customer protection. Do not use a public computer or public Wi-Fi to make purchases. Hackers can easily gain access to your information over a public network. Don’t use search engines to shop for deals, use retailers’ websites. This reduces your chance of clicking on a malicious link. Check credit card and bank statements frequently for unauthorized activity. Most importantly, make sure your computer is updated with the latest security software. We hope you enjoy this holiday season! If you have any questions about safe online shopping, please don’t hesitate to contact us.